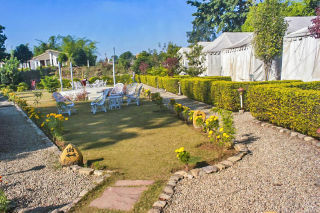 Brand new luxury swiss tents in the serene environs of Corbett National Park and has been built with customer satisfaction as their utmost goal. 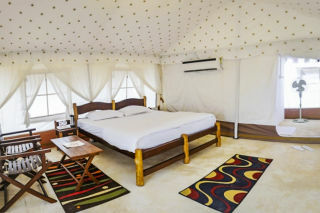 It is in a way luxury camping at its best and offers first class comfort with personalized services. 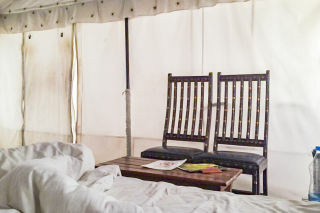 The tents possess it’s very own distinctive style and offers hospitality through its location, architecture, design & high level of service. It’s foundation is laid with vibrancy of colors of services & warmth that oozes out of every corner & every stone and the one that create its soul. Each unit is air-conditioned, spacious, well furnished & equipped with modern amenities to ensure that guests have a comfortable and memorable stay. 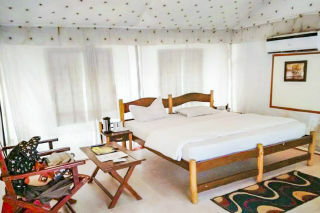 Jungle Safaris & Trek on request Travel Assistance- Available Accommodation for drivers or maids is available. 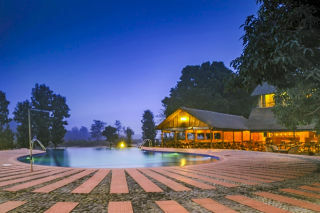 Swimming pool will be common. 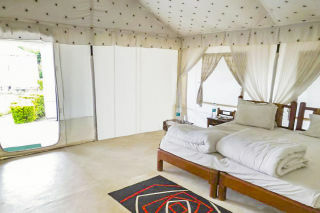 Beautiful location and luxurious and comfortable tent. 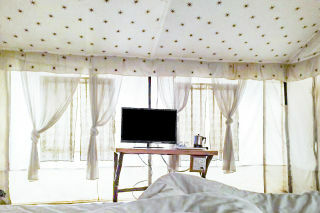 Had a pleasant stay.